Here are some frequently asked questions about the Alpha Delta Pi Foundation Scholarship process. Q: Where do I find the online scholarship applications? 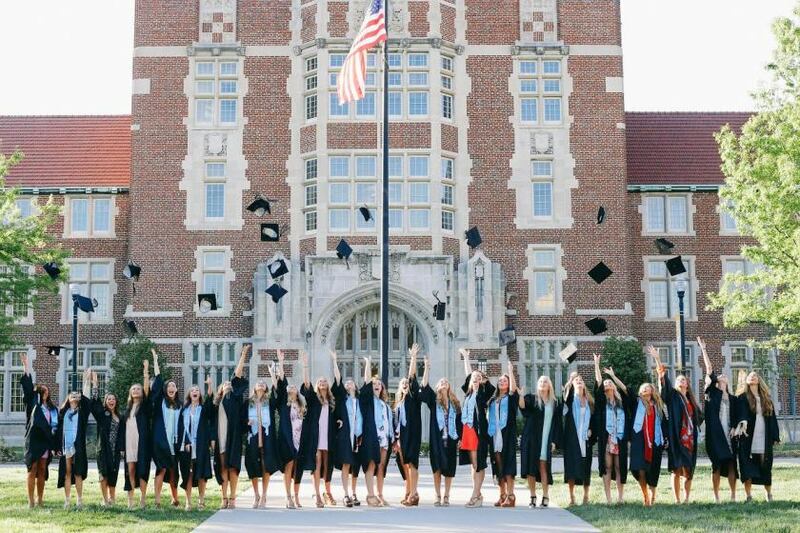 A: The undergraduate, graduate, and continuing education scholarship applications can be found on the Alpha Delta Pi website listed on the Scholarship Page. Another great resource located on this page is our Scholarship Guide – which includes more FAQ’s, a timeline, and additional helpful hints to help you fill out your application! Q: In previous years, I had to submit an official transcript. Did this change? A: Yes, we made it even easier to apply! You have the option to send in unofficial transcripts. If you receive an award, we will ask you to submit an official transcript. Q: How do I upload my transcripts to the application? A: Since we are accepting unofficial OR official transcripts this year, this means you can log in to your student portal and either download a PDF copy of your unofficial transcripts or take screenshots and paste in a Word document to upload. You can also ask your school to release an official copy to you by email or hard copy and upload it as a scanned document or PDF. Q: How do I apply to my chapter’s scholarship? A: We offer one application for all of our scholarships. This way, you are eligible for not only your chapter’s scholarship (if that is an option) but our nationally competitive scholarships as well! Q: I will be graduating in May 2018. Can I still apply for this scholarship? A: Unfortunately no. These scholarships will be for the 2018-2019 academic year. You must be enrolled in classes for (at least) the Fall 2018 semester in order to receive an award. Q: How do I know my application is 100% complete? A: Once you are finished with your application, you must click SUBMIT. Your application will show as PENDING until your letters have been submitted. As soon as all your letters of reference have been received, your application status will show up as SUBMITTED and you will receive an email confirmation. Q: How do people submit their recommendation letter/form? A: When you plug in contact information for the person writing your recommendation, an email is automatically generated and a link is sent to them. The link is specific to the request, not the person, so if you need to make any changes, please contact foundation@alphadeltapi.com so we can set up a new request for you! Q: My ADPi Advisor mentioned something about a form…I thought she was supposed to write a letter? A: New this year, your Alpha Delta Pi recommender will be asked to fill out a form (instead of a required letter) and given a space to upload an optional letter. In past years, some advisors were asked to write 10+ letters with not a lot of notice so we’d like to make it as easy as possible for sisters. Q: I haven’t heard back from any grad schools yet! I know I need to provide proof but how? A: New this year, we have expanded our criteria to allow for students to apply for awards even if they have not been accepted into a graduate program. If you receive an award you will need to submit proof of acceptance into the program as part of your Scholarship Acceptance Agreement. This will allow more sisters the opportunity to apply! Did we miss something? Check out our official Scholarship FAQ Page for additional questions. If you still need help, please email foundation@alphadeltapi.com.